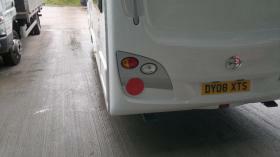 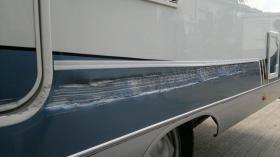 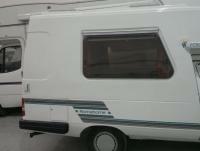 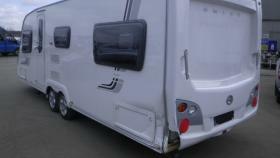 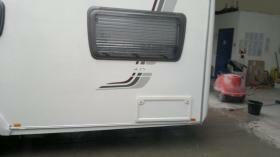 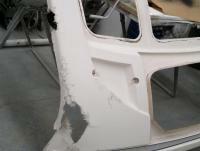 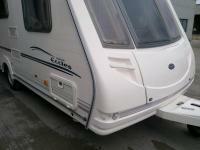 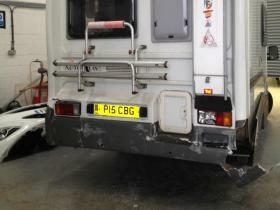 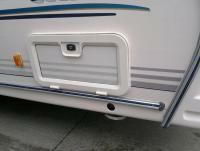 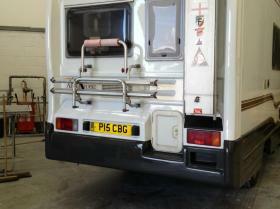 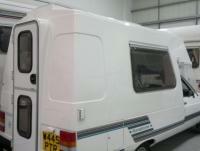 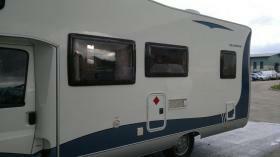 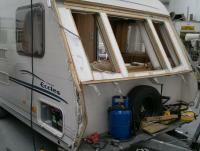 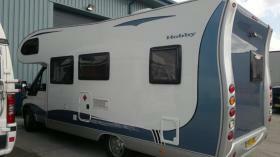 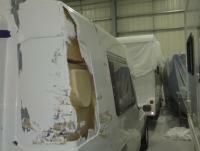 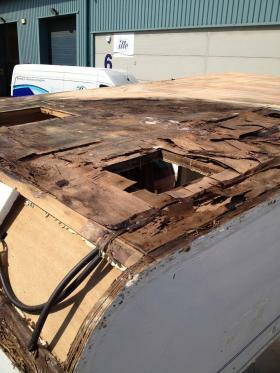 "This caravan was repaired, without having to fit new panels. 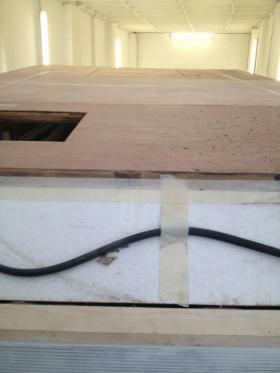 Both panels were saved." 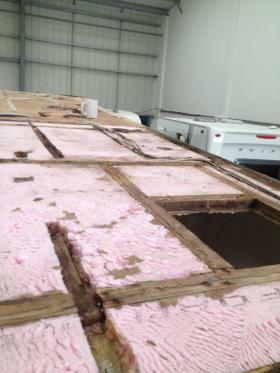 "This panel is no longer available, we reconstructed from scratch"
"Easy repair, no parts required"
"All panels repaired, would have been a total loss." 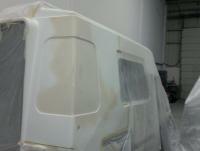 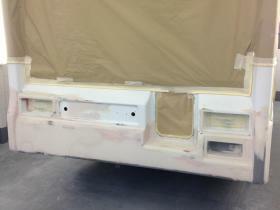 Bespoke spray booth, specially comissioned to facilitate the largest of leisure vehicles.